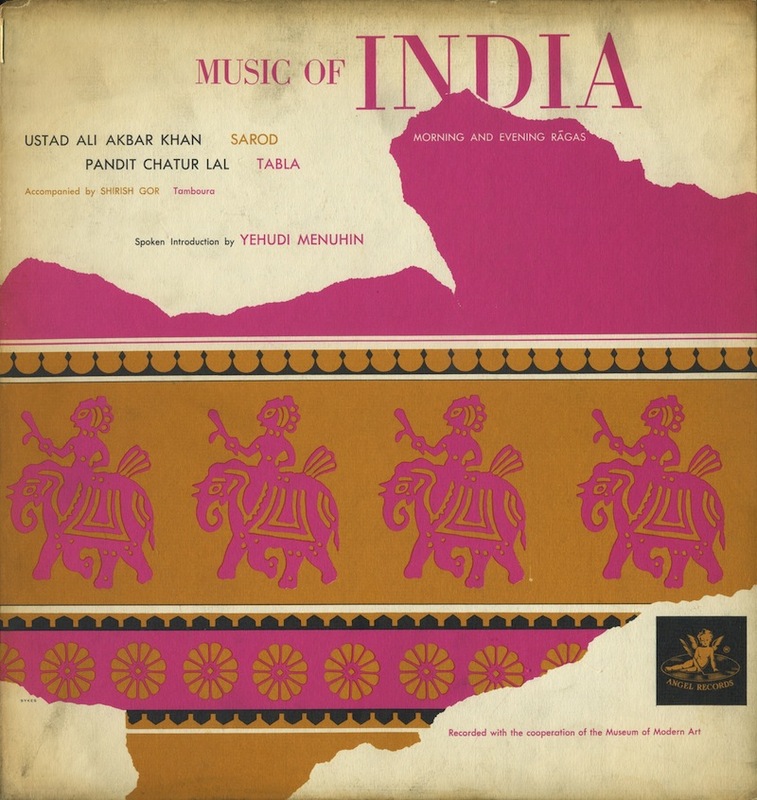 More amazing stuff involving Chatur Lal (posted his stunning The Drums Of India not that long ago), although instead of flexing his tabla muscles, this time he’s joining Ustad Ali Akbar Khan’s hypnotic sarod. Two side long ragas, each with a brief intro by Yehudi Menuhin who goes over the scale & rhythm of the following songs. Both start out slow, Khan’s solo sarod meandering, finding its way to solid ground, and when Lal comes in with his tabla, it’s the most natural and smooth transition, and Shirish Gor’s tamboura follows suit, everything growing like the morning sun nourishing the land with its warmth & energy, so calming, fantastic in every way. Perfect to throw on when you get home from work and need to clear the headspace.